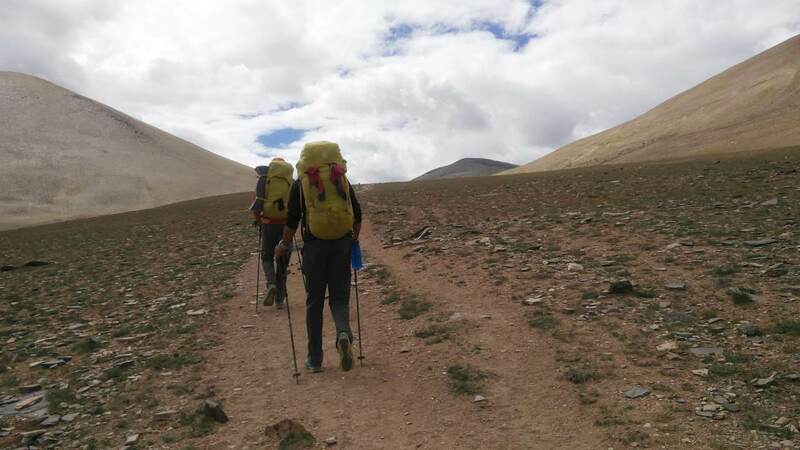 The summit is for the ego while the journey is for the soul – this oft heard adage from the mountains, in a way, encapsulated the driving force behind the Western Himalayan Traverse. The idea was to travel in the most self-sufficient manner possible, have least ecological impact on the places walked through and keep Leave No Trace (LNT) principles in mind. Ultra-light backpacking forces you to be more efficient in the use of resources while enabling you to cover distance faster. India lacked a long hiking trail. The US has the Pacific Crest Trail among others and Nepal has the Great Himalaya Trail. We wanted to correct the anomaly. 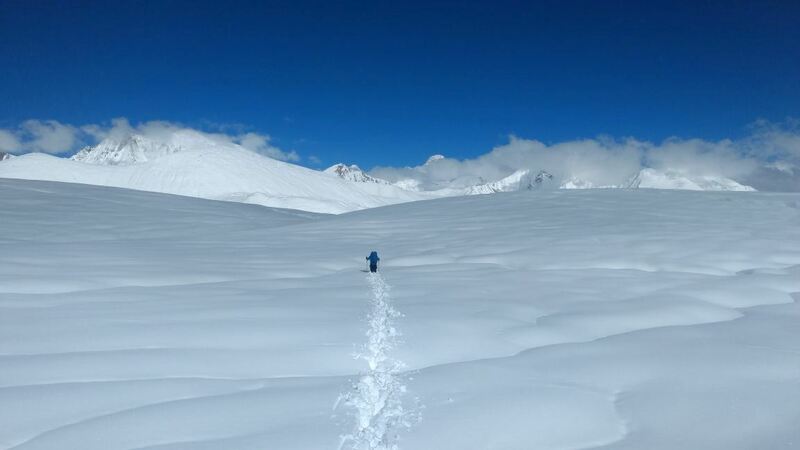 In recent years, the idea of the Western Himalayan Traverse seemed to have finally come of age. Establishing such routes enables and encourages the culture of self-sufficient, low-impact environment friendly backpacking. The planning process took over a year. Three members for this traverse seemed an ideal number. Each member picked was physically well trained and equipped with sound technical mountain skills and knowledge. This would help minimize risk in case something went wrong during the traverse. Having the ability for one teammate to go down and call for help and bring aid to the others in case of an emergency, increased safety margins during those patches of the route where communication devices would be of limited use and mountain hazards faced would be the highest. Team members make or break an expedition. Pranav Rawat, Shekhar Singh and I, Bharat Bhushan, complemented each other’s strengths and weaknesses. We made for a strong cohesive team. The planning process was divided equally between the three of us to get things done faster. I poured over contour maps at the library of the Indian Mountaineering Foundation (IMF). 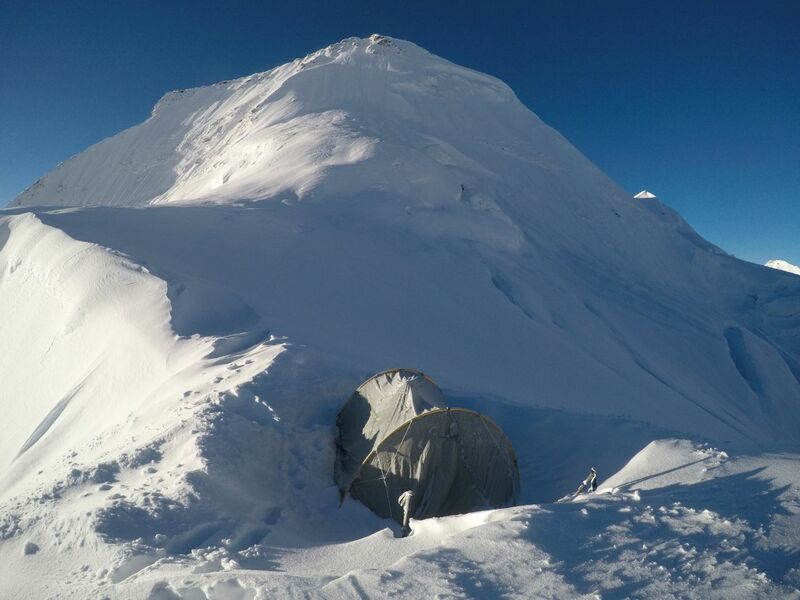 The initial plan of starting out from Siachen Glacier had to be dropped due to the additional number of days it would have added to the expedition. In the end, Markha Valley in Ladakh was zeroed in on as the ideal place to start from. The trek was flagged off from Chilling Bridge. Dharchula at the Nepal border was our end point. With the start and end points fixed, now it was time to fine tune the middle portion of the traverse. We had two considerations – keeping it a simple, direct and straight route which would take less time. And avoiding as much of challenging and technical terrain en route, as that would require greater effort, technical gear and resources. 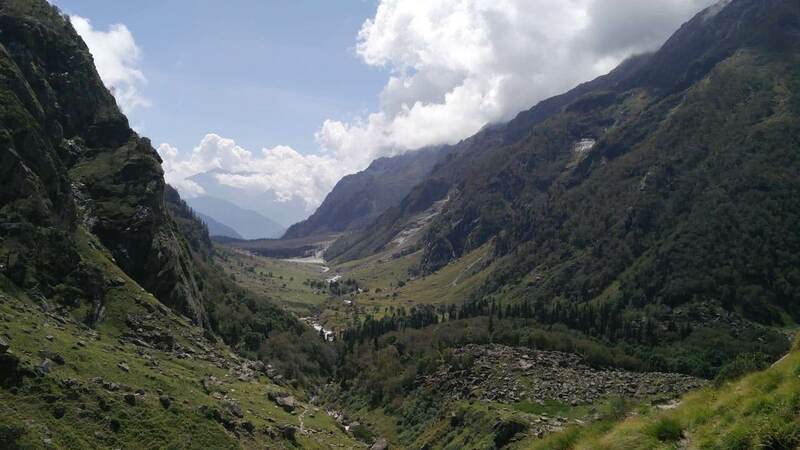 Eventually, the Kalindi Khal pass was the only technical terrain we had no option of bypassing due to the nature of the route. We kept it in. We got down to collecting as much information as possible from the internet and having conversations and meeting up with people who had done sections of the traverse before or had ground level knowledge. Ravi Kumar, Director of NOLS India, gave us maps and shared what he knew of the areas we would pass through. In Delhi, Punit Mehta, who is an independent explorer and NOLS instructor, filled us in about the Ladakh and Garhwal areas in detail. Chetan Pandey, my climbing partner from Almora, gave me details of the Garhwal Himalaya and helped me plot the way points on Google Earth map. Over conversations in the IMF dormitory, my friend Kaushal Desai along with Bhagwan Singh from Manali helped fill in the remaining gaps. 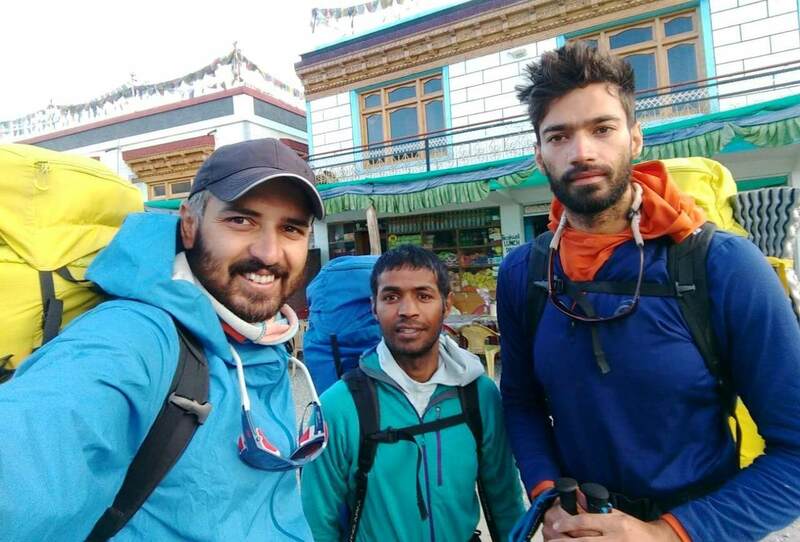 Dhruv Joshi and Vijay Singh Rautela my climbing partners connected us to a lot of people who could help us when tackling officialdom – paperwork to be filled and permits to be issued. Following this process, Pranav and I, sitting in Manali, were able to compile the information by plotting all the way points and making a rough Google Earth map of the traverse. It felt like the second concrete step towards our expedition. Step three entailed selection of lightweight technical gear and apparel. Keeping in mind the time of the year, possible weather faced and climate zones we’d be crossing we finally got down to making our required list. We also devised contingency plans. We only had cell phones as devices of communication. That made us vulnerable because connectivity is not available everywhere. Our plan was, should anything happen to any one of us, we would send one member as a runner to reach out and contact the team from 4Play, who were waiting with ration parcels at each predetermined ration re-stocking point. We also made sure to note the closest road head in every valley that we crossed. 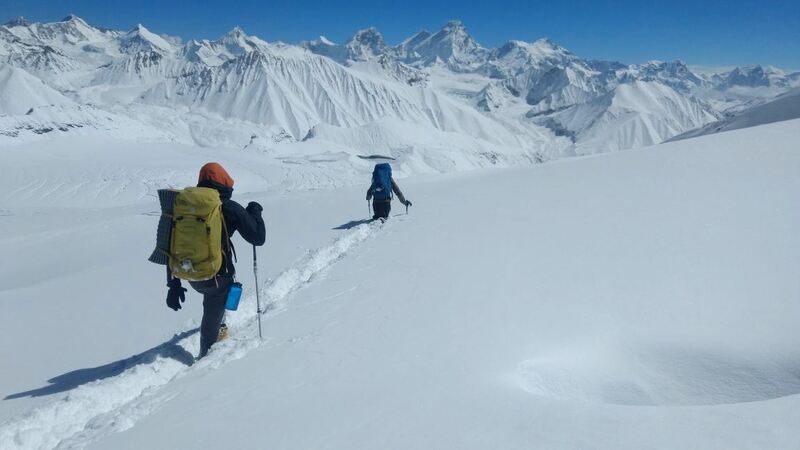 It took us 47 days to do the entire Western Himalayan Traverse route. We started on August 27, 2018 and completed the expedition on October 12. During this entire journey we put in four rest days. We took full day stops at Kaza, Chitkul, Auli and Himni. Else, we walked every day. Some days we did up to 44 km. It was only by such a disciplined and relentless push that we managed to cover the traverse within our scheduled time frame. While covering the entire route we had to cross varying terrain, and different ecosystems and climate zones. We had four passes to cross that constituted glaciated terrain – Bhabha Pass, Parangla Pass and Lamkhaga Pass were comparatively small. 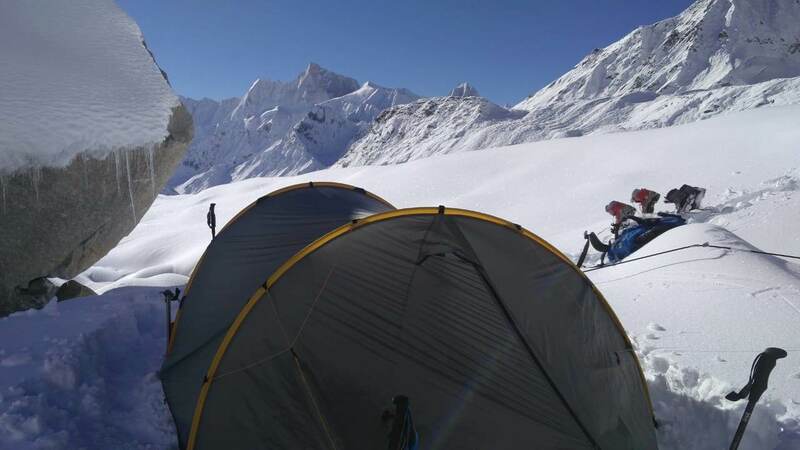 Kalindi Khal proved to be the most formidable, being a huge glacier with open and hidden crevasses. We needed proper glacier travel equipment here. A major obstacle we faced was unexpected bad weather while crossing Kalindi Khal. We had limited fuel and were running out of rations. We had to adapt to the situation by cutting down to having just one meal a day and trying to collect water through ingenious unconventional means. We collected water by wiping the top of our tents with bandannas and squeezing it into containers to collect it. River crossings during the traverse too turned out to be technical challenges. There were many big raging rivers that we had to cross. The biggest of them was the river in Norboo Sumdo on the way to Parangla Pass from Tsomoriri Lake. Scouting these rivers, choosing from where to cross them and the time of the day chosen for it were important factors we had to keep in mind. Steep trails on the way to Kumaon and Garhwal were a challenge. This year the monsoon was still on in full swing while we were negotiating our way through the trails. Many times we had to forgo the main trail and search for safer alternative route. Among rewards, we spotted the elusive snow leopard near Tsokar Lake. It is a memory that will be etched in my mind forever. There was also blue sheep, monal, marmots, wild pheasants and many more; enough to fill an entire journal. All through the hike we came across bridges built by shepherds. We always examined its strength first, to see if it would bear our weight or not. There were occasions when we found the bridge weak or collapsing. We always had to keep a Plan B in mind in case we had to find a way other than using those bridges. We were a group with mixed levels of experience in this terrain. Shekhar was new to most of the passes we faced. Pranav had seen a good bit of the trail before. I too was fortunate to have covered most parts of this trail in bits and pieces on previous forays. In spite of that, route finding remained a major challenge. Not having a good reliable map and the tricky terrain of the Kumaon and Garhwal Himalaya always kept us on our toes. Now that we have mapped the correct position anyone will be able to follow our trail by downloading the file (editor’s note: at the time of writing, such a file with updated map was in the process of being made, Bharat said) and using it. Since this was a new route, planning accurately in terms of rations and logistics was based on approximation. We set up seven predetermined re-ration stations at various places of the traverse. These were places where we had previously sent boxes of ration well ahead of time, in order to be able to collect them as we passed those places during our journey. We also ate at village homes and food shacks along the way. This helped us not to carry extra ration and instead, move faster with light backpacks. 4Play – it is an Indian outdoor adventure content and media company; Pranav Rawat is their sponsored athlete – tried securing sponsorship for the Western Himalayan Traverse. They pitched our idea to several companies here and abroad and upon not finding much of a response to it advised us to try and see if crowdfunding would help. 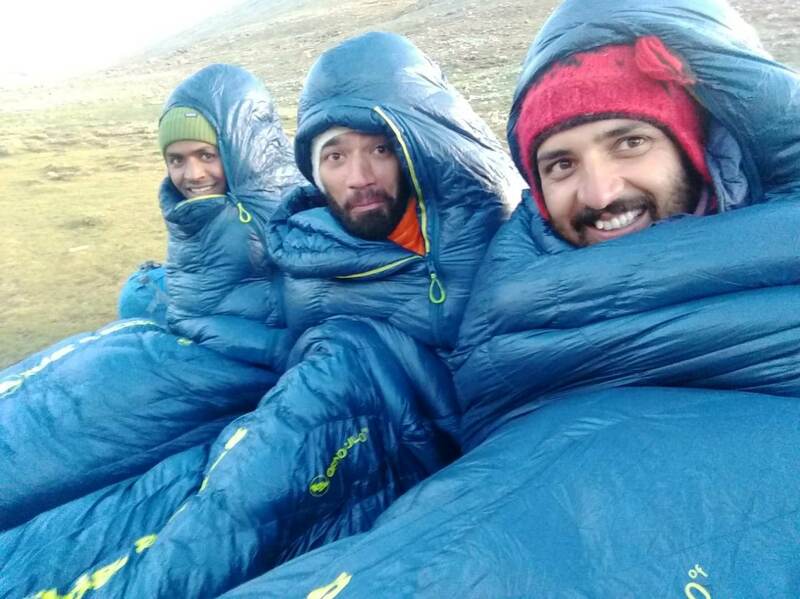 Pranav and Shekhar campaigned for the Western Himalayan Traverse project and raised funds individually. In spite of that we still had to invest our own funds to buy the required gear. Raising the funds for this expedition was almost as challenging as completing the traverse itself. This entry was posted in Outdoors / Travel, People. Bookmark the permalink.